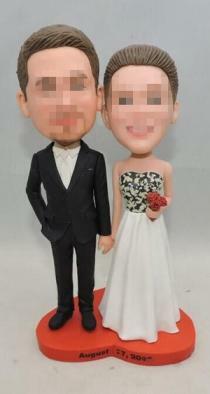 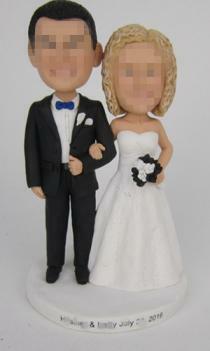 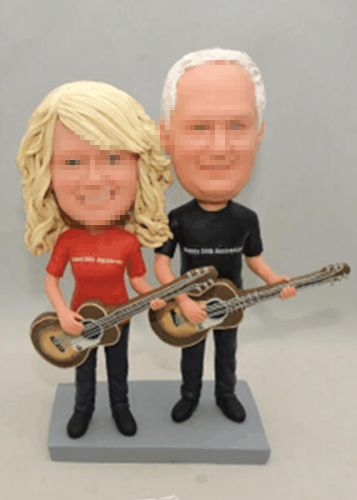 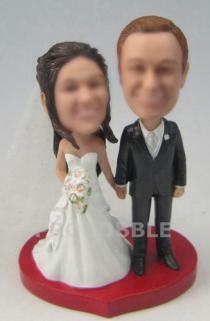 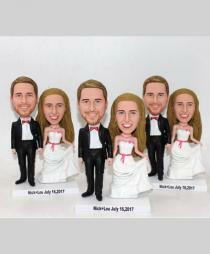 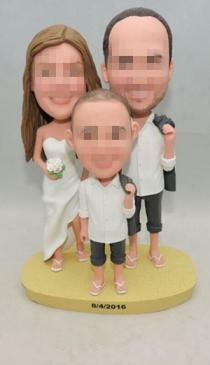 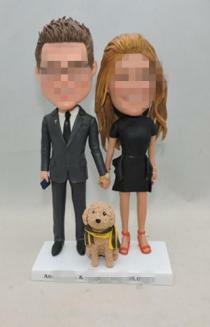 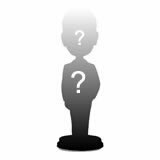 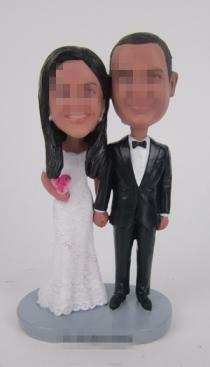 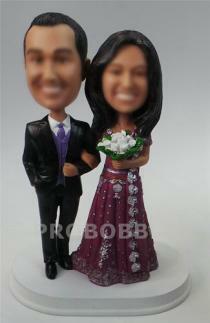 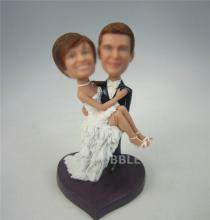 We offer Custom Cake topper for a few of years and we know more about bobblehead custom cake toppers than anyone. 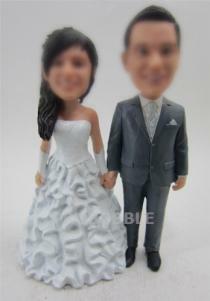 Over 150 styles are offered in this category. 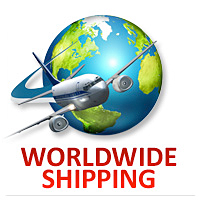 Most are best-selling and popular with customers. 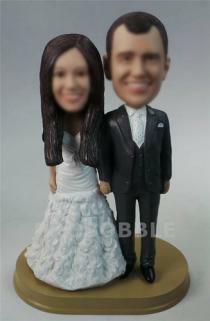 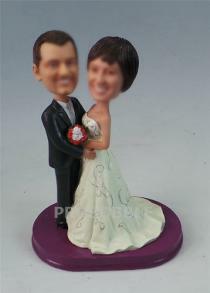 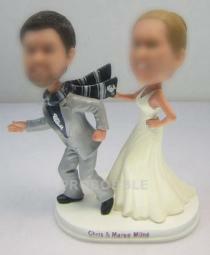 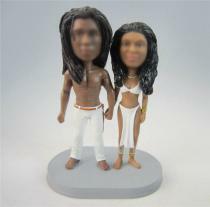 We have a lot of standard wedding cake toppers styles with bride wearing dress and groom in suit standing or sitting by each other, holding hands or groom carrying bride.Though more couples prefer to customize a stylish cake topper, a few of couples insist on buying standard bobbleheads to put on the cake. 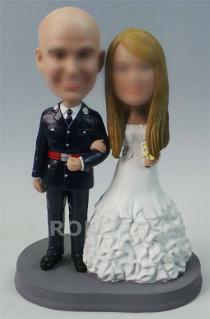 You can choose the one best suits your clothes you wear on your wedding day and add the accessories like flower, pets, ties,personalized bases and any other options. 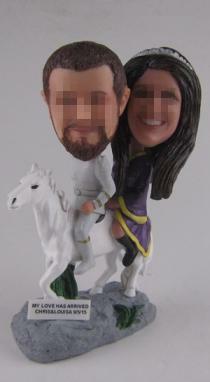 You can also select the one shows the right occupation of you or the hobby of you and that must be a meaningful option. 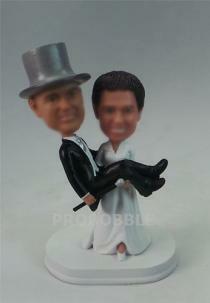 Cake topper is really one of the most important part of the wedding. 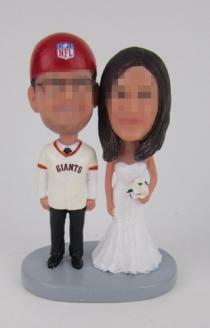 Everyone would like their bobblehead topper to become the hit of the day. 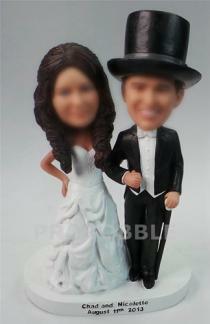 And we will help you realize your wish. 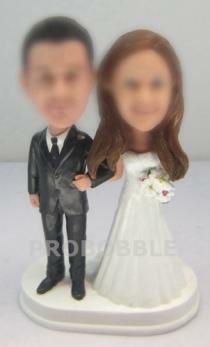 What you need to do is trust us and specify your requirement and we will do the rest.